Mama Fashionista: Quinn of Mama Fashionista tells you all about how to stay summer time fresh with gud body washes. Adore A Polish: Kristina shares her experience of the Origins Checks and Balances face wash.
Lola's Secret Beauty Blog: If you are struggling to find ways to beat the summer heat, then discover Perlier Italian Sorbet Limone Refreshing Crackling Ice Body Water. Makeup Demon: Two not boring shades eye pencils by Rimmel - review! TheFabZilla: Sneak-a-peek! Come check out TheFabZilla's woman cave a.k.a makeup room-slash-home office. The Socialite's Closet: See what Ellen from The Socialite's Closet thought of her stay at Spa Django in Texas. ColorMeSoCrazy: Check out my art with KKCenterHk Nail Studs! Harajuku Girl FL Beauty: Thinking about starting a Julep subscription? Read about this blogger's experience. Beauty by Miss L: Check out Miss L´s red-blue-white manicure. Icy Nails: OPI Tiffany Case is a cool blue stunner and a great favorite at Icy Nails. XOXO Alexis Leigh: Fairy or butterfly? You be the judge at XOXO Alexis Leigh. The Convenient Beauty: Create an easy smokey look for Asian eyes with Dior 5-color Smokey Design. Geniabeme: Come take a look at what I think about Kiehl's Clearly Corrective Dark Spot Solution! 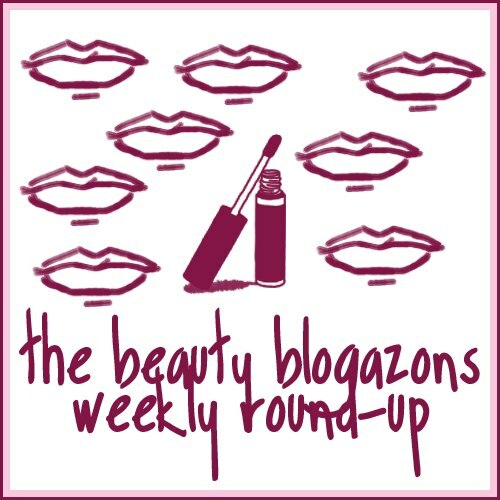 Rachel's Makeup and Skincare: Rachel compares three different colors from Le Metier de Beaute's Cheek and Lip Tints. Daydreaming Beauty: Summer means easy makeup! This week I test Clinique Chubby Shadow Sticks for Eyes. No makeup brushes needed! Betzy's Makeup A Beauty Blog: I haven't done a favorites post in almost a year! Check out what I'm loving in June. Midnight Manicures: A weekend in beauty paradise. Jamie show's you what Generation Beauty is all about with her great pictures and review. Fun Fierce Fabulous Beauty Over 50! : Masqueology's lifting & firming mask is excellent for anti-aging skin. Glamorable! : Anastasia is celebrating 4th of July with a colorful manicure.